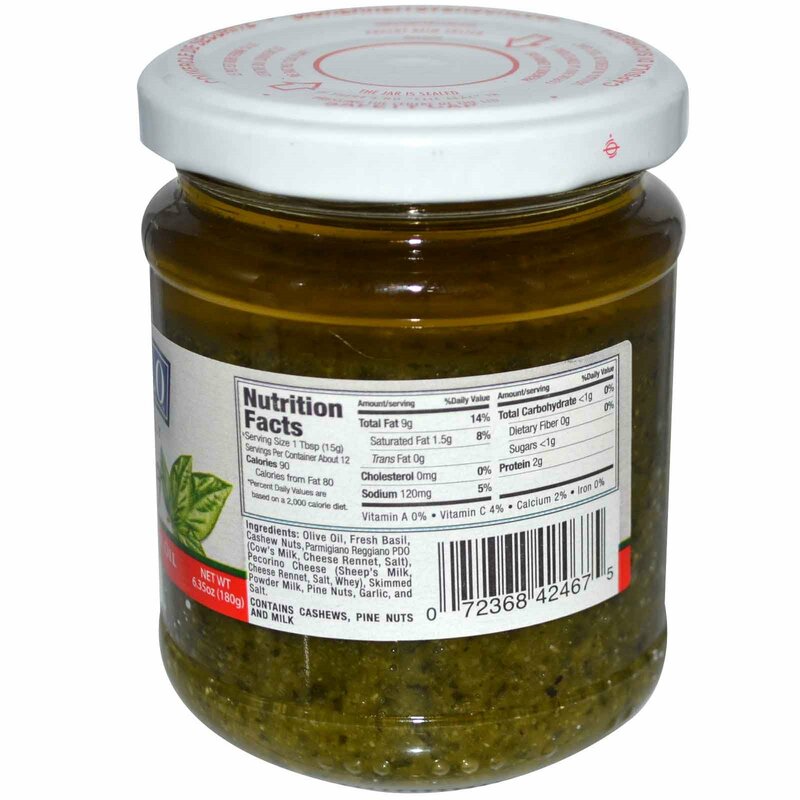 Made with fresh genovese basil grown and harvested from the summer crop in the Liguria region of northern Italy. Toss 6 oz. 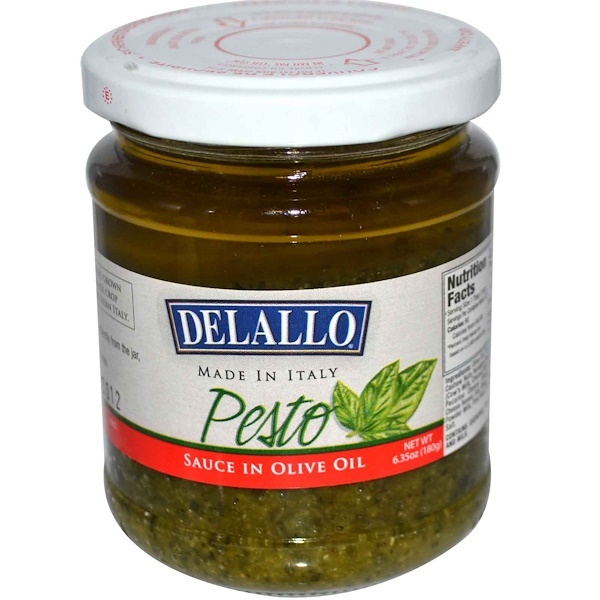 of DeLallo Pesto Sauce, directly from the jar, with 1 lb. of hot cooked pasta. Olive oil, fresh basil, cashew nuts, parmigiano reggiano PDO (cow's milk, cheese rennet, salt), pecorino cheese (sheep's milk, cheese rennet, slat, whey), skimmed powder milk, pine nuts, garlic, and salt. Contains cashews, pine nuts and milk. The jar is sealed if there's no "clic clac" in pressing the centre of the lid.